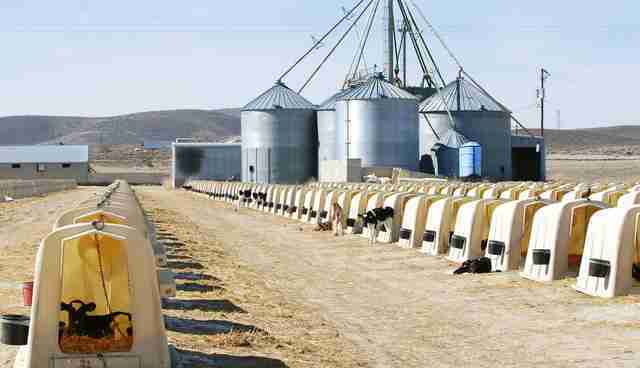 Clarification: Some readers have pointed out that this picture is not of a veal farm, which is true. 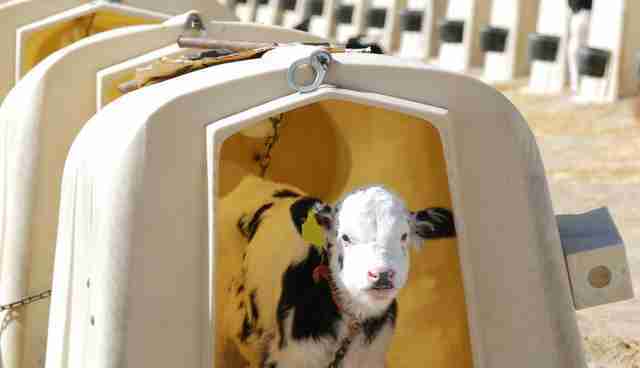 The crates hold newborn cows, some of whom may go on to be raised as veal. The image is almost surreal - row after row of little huts stretching toward the horizon - and few people are acquainted with the harsh reality of it. 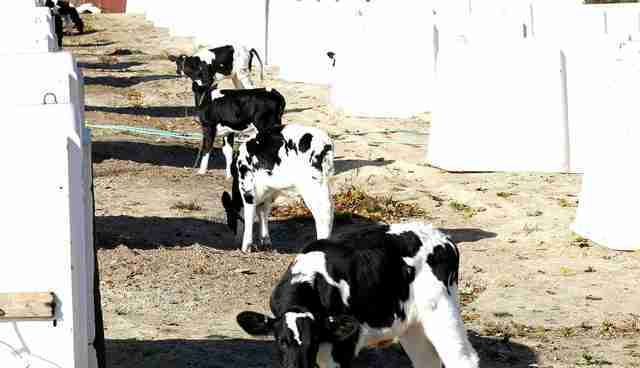 These structures are where baby cows - taken from their mothers and usually destined for slaughter - are packed together in eerie fields. "Like all mammals, dairy cows must be impregnated in order to produce milk," Farm Sanctuary writes on its website. "Cows in the dairy industry spend their lives in a constant cycle of impregnation, birth, and milking with just a few short months of rest between pregnancies." Because the industry has little use for male cows, the boys mother cows birth are killed to become veal. It's not much of a life for these baby animals - smart and sensitive beings who can form friendships and remember the past.